Hi guys! Here’s a new comic for you all to enjoy. Trying new things with my art and attempting to inject more cinematic angles into a fairly un-cinematic comic. 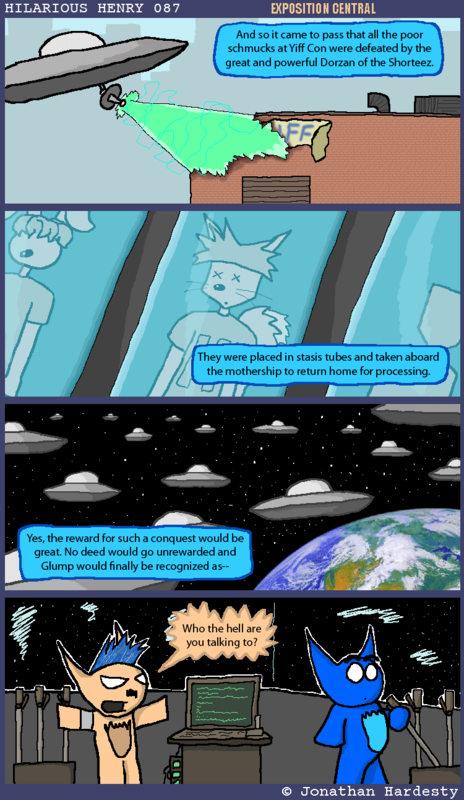 I just watched MARS ATTACKS for the first time and liked the way the ships were designed so I yoinked them for the purpose of this comic. Yes, I know. MARS ATTACKS yoinked from PLAN 9. Kind of a cycle, ain’t it? Still working on the site re-design. It’s almost complete. Still some things here and there I want to tweak..